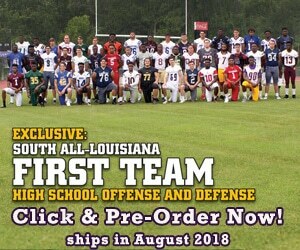 Check out today's prep team spotlight and recruiting update on the Rayville Hornets! We caught up with two of the Hornets' star seniors as they discuss their future football plans as well as how big of a role Coach Lent Bursey has played in their lives! Check out today's prep team spotlight on the Pickering Red Devils!